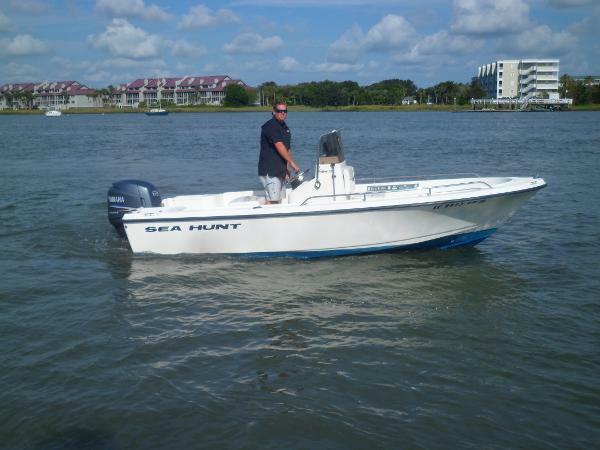 The Sea Hunt Triton 172 is the ultimate boat if fishing and family fun are on your agenda this season. Boat includes Yamaha 90hp 2 stroke engine. Karavan single axle galvanized trailer, full cushion flip seat/cooler, Hummingbird fish finder, and forward fish box.